As replacement. Works very well. My friend ordered one from you and it works. I will be doing Spring cleaning and washing down all of my walls in my apartment..This will definitely help me with doing this.. I HAVE A NEW SHOWER AND NEED TO TRY THIS. I can reach high places. I am short, this will help in the bathroom and washing windows. This is great for people who may have back problems. Less reaching and less kneeling ! My mother asked for this. I cannot bend to scrub the bathtub well. Need to have something with extension to clean my tub due to my age. because I'm looking for an easier way to clean the shower. My softer scrubbing Jacuzzi device is lost and I need this for cleaning the tub. Shipping Costs are too high with this site! I Use This Item A Lot. Works Great. I already have the wand. It works for me! I couldn't find a pad for the one I use. Easier to clean my bathtub. Because we could not find them any where. I always buy an extra replacement. to have in stock when needed. I am replacing a head that is worn. This device saves a lot of stooping. 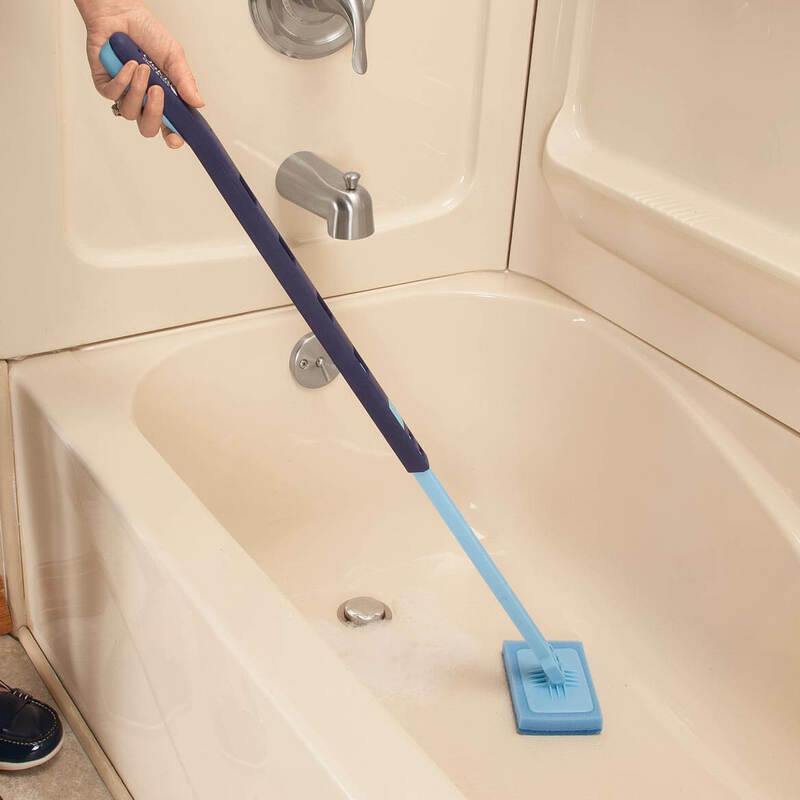 I have the scrubber and find it very handy and useful. first time use; hoping it will work well for cleaning bath & shower. BEST ANSWER: Thank you for your question. 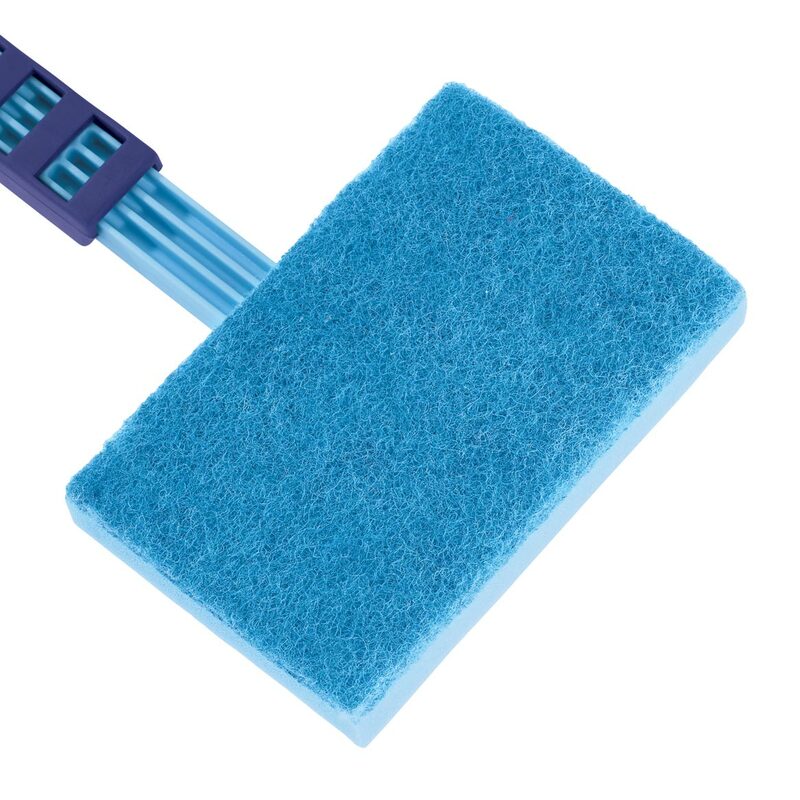 The item shown is the refill sponge for the Telescopic Tub & Wall Scrubber by OakRidge, item number 358581. The plastic wand extends 24"-36". We hope this information will be of help to you. Is there a microfiber sponge refill for this item?